I grew up in Rochester, New York, and when I was a little boy, I was always taking electronics devices apart… trying to figure out how they work. Well 40 years later – I ended up becoming a “Production Sound Mixer”. Back in 1983, I started working at KODAK where I had a 26 year career. My last 12 years was in The Motion Picture Division. There is where I learned the workings of a production set. I was interested in the “Sound Department” and later dove into it myself. My first “Sound” job in 2003 was while I was still at Kodak. A few years later Kodak asked me to become their “Sound Mixer” when the Motion Picture Department produced their 35mm & S16mm Film Demonstrations for worldwide product launches. In January 2009, I turned that passion into a full time business opportunity. 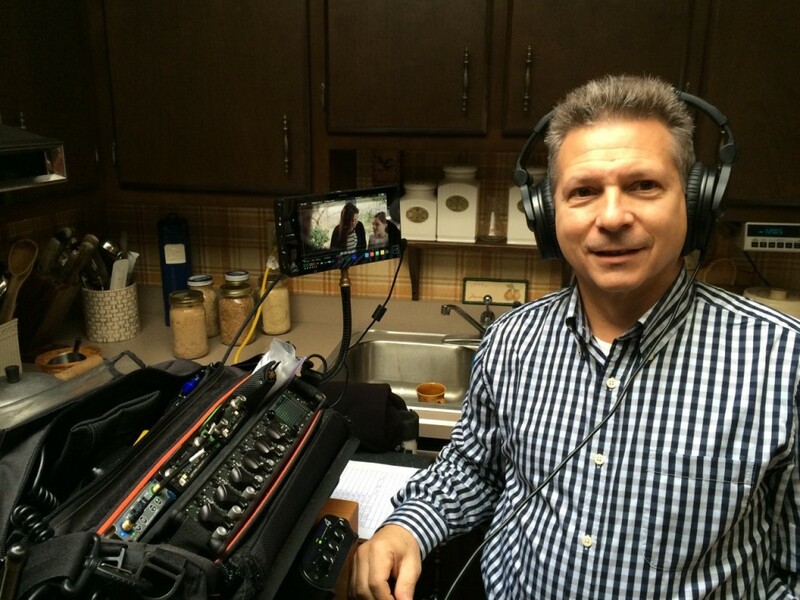 I have done many different jobs while on set and now have focused my energy into just ONE task: Delivering the finest audio recording for my client’s production. I do this by having some of the finest equipment made in the world, having the knowledge to know how to extract the best sound from the equipment and most important – doing all of this with the biggest smile possible! Having the right equipment and knowing how to use it – is only two legs of the three legged stool. You have to work on set with a HAPPY and POSITIVE attitude. THAT goes a long way! My enjoyment on set is watching my client with the headphones on and looking over at me with a big happy grin on their face!!! That’s my one and only goal everyday I go to work!!! My company “Regional Sight and Sound, LLC” is a Florida State registered business, and I also carry full “Liability” insurance for the protection of me and my clients.